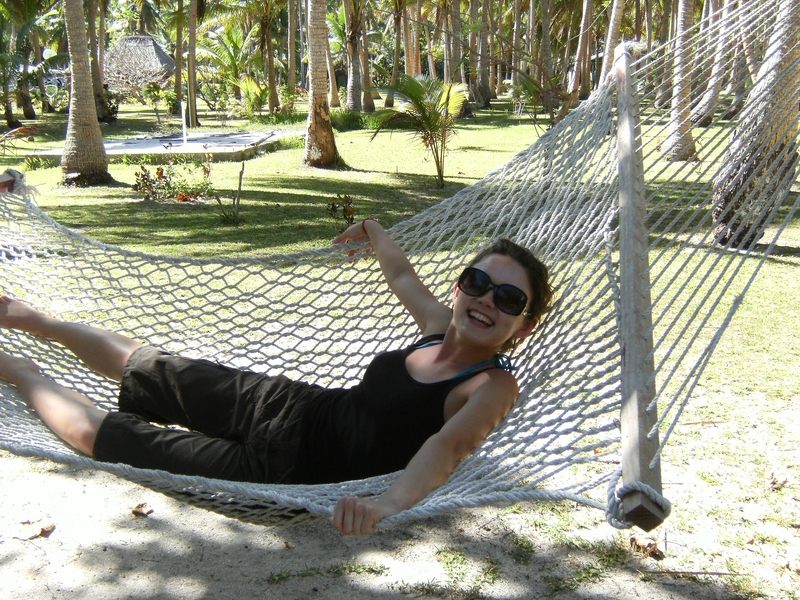 avoiding falling coconuts, going to bed when the electric was switched off and rising when the drums called us for breakfast. It was absolutely perfect. 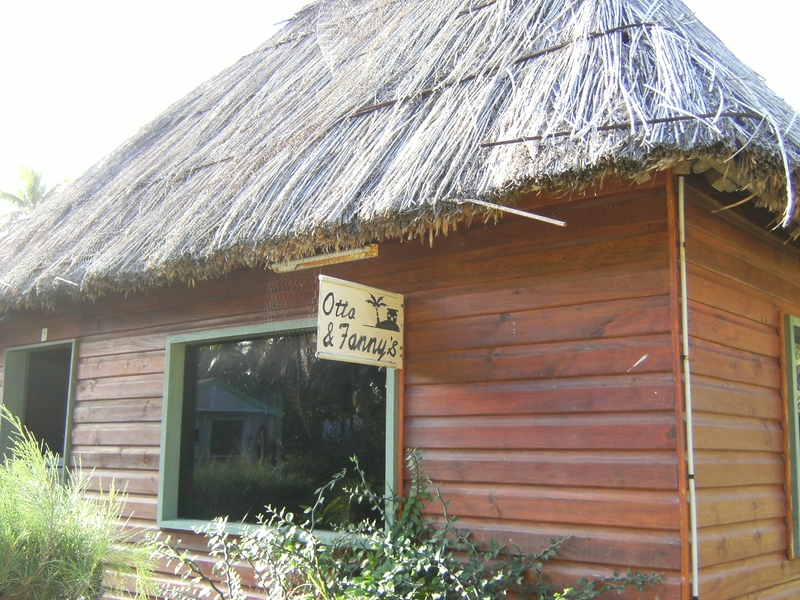 In our straw bure, despite the cockroaches and millions of mosquitos, who can’t help but be happy when you’re being fed freshly caught fish which is so thick it was difficult to tell if it was fish or meat? 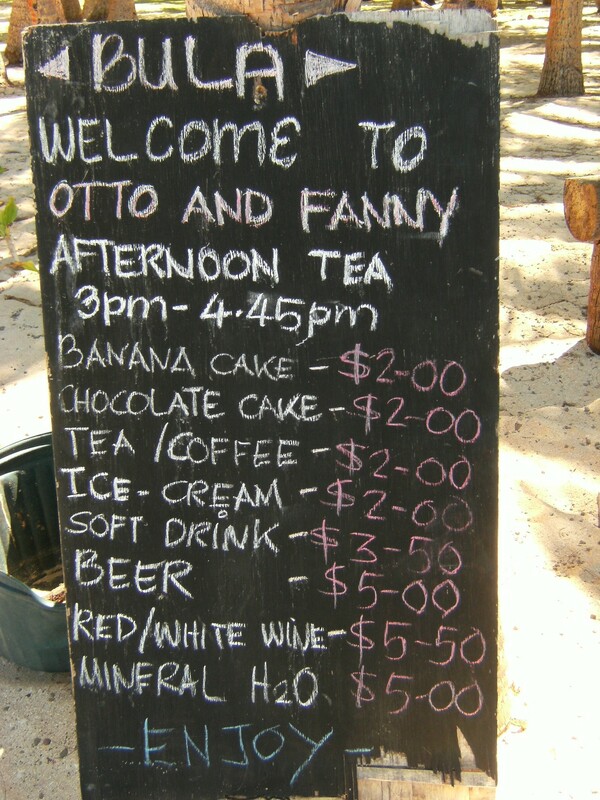 Afternoon tea at Fanny and Otto’s was infamous with travellers making a special trip just to sample the delights. 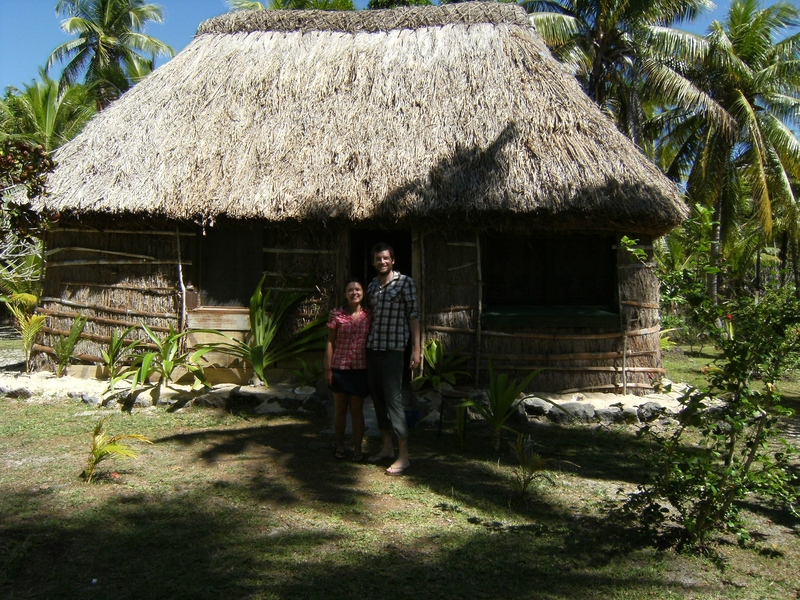 We ate banana cake and chocolate cake by the boat load with a hot cup of tea made from collected rain water. This cake is really quick to make and feeds a lot of people! 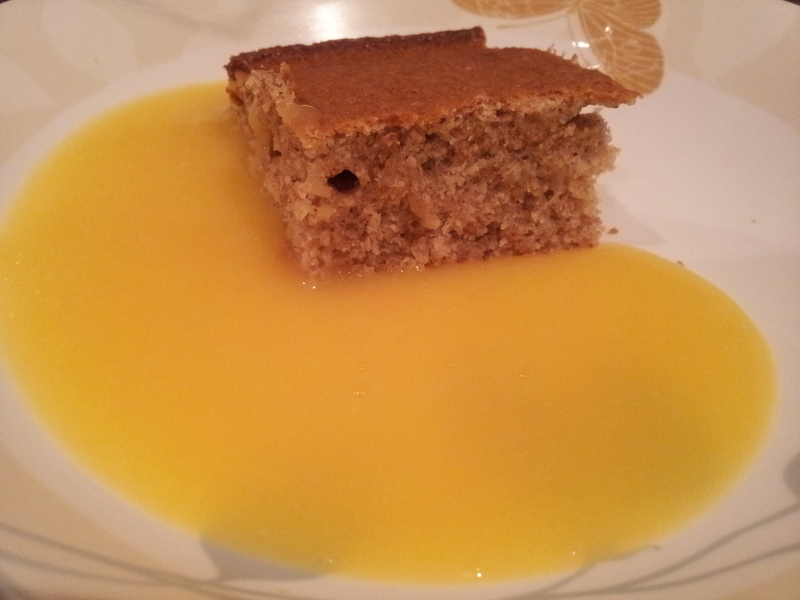 It’s good by itself and even better with custard! 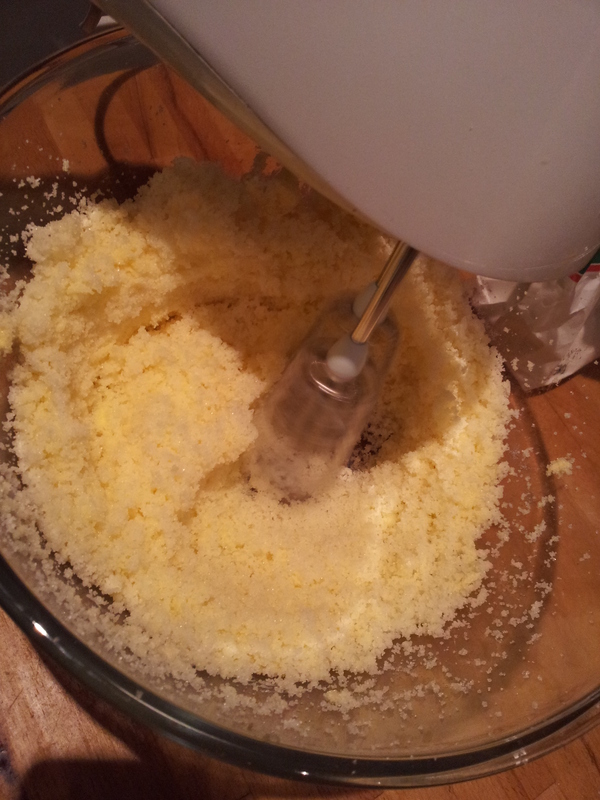 I use an electric whisk to get the butter really fluffy. Keep whisking until it becomes a lighter colour – then you know it;s full of wonderful air. Whisk in the eggs one at a time. It’s taken some practice but I’ve mastered the one handed egg cracking technique now. 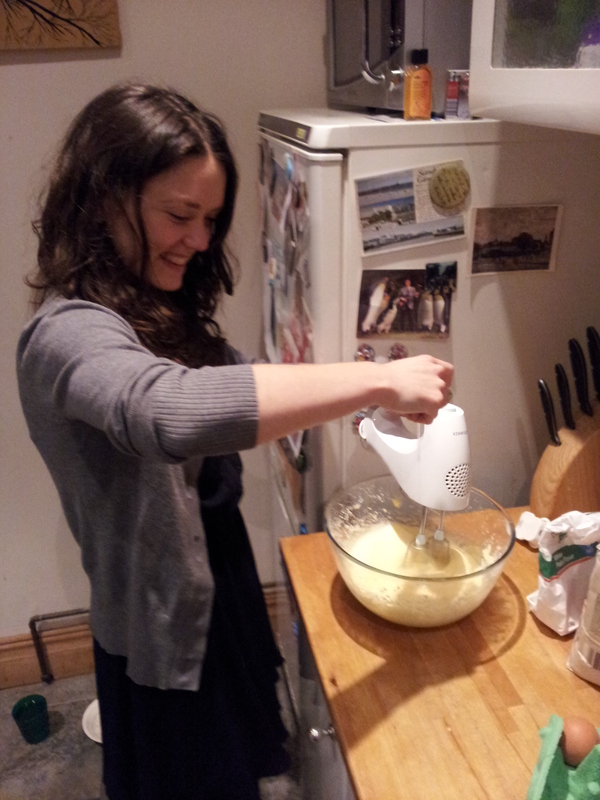 It makes this whisking so much quicker! Don’t worry if it starts to look like it’s curdling, just keep whisking. 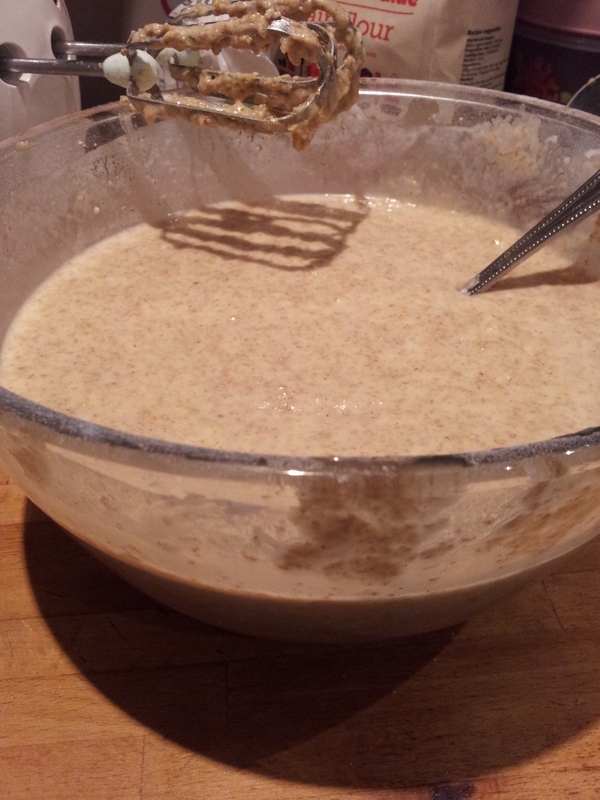 Don’t forget to scrape the sides of your bowl with a spatula to make sure everything is incorporated into the batter. Normally I would fold in flour to a fluffy egg batter to preserve the air content and ensure a light and tender sponge, however the recipe didn’t say to do this. I was feeling particularly lazy and the thought of washing another spoon saddened me. 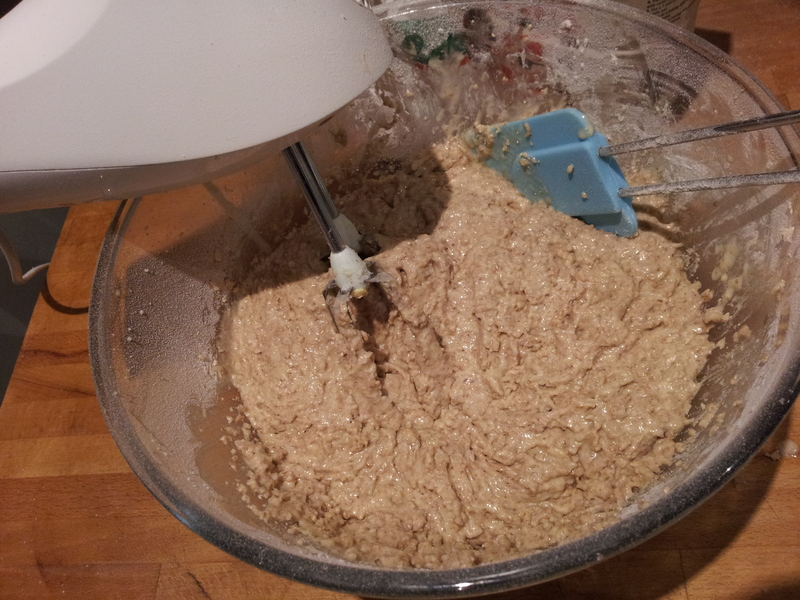 So I reckoned I could just keep using the electric whisk. After all when Mary Berry uses self raising flour in sponge cakes she whisks everything using her ‘all in one method’ and it always works! 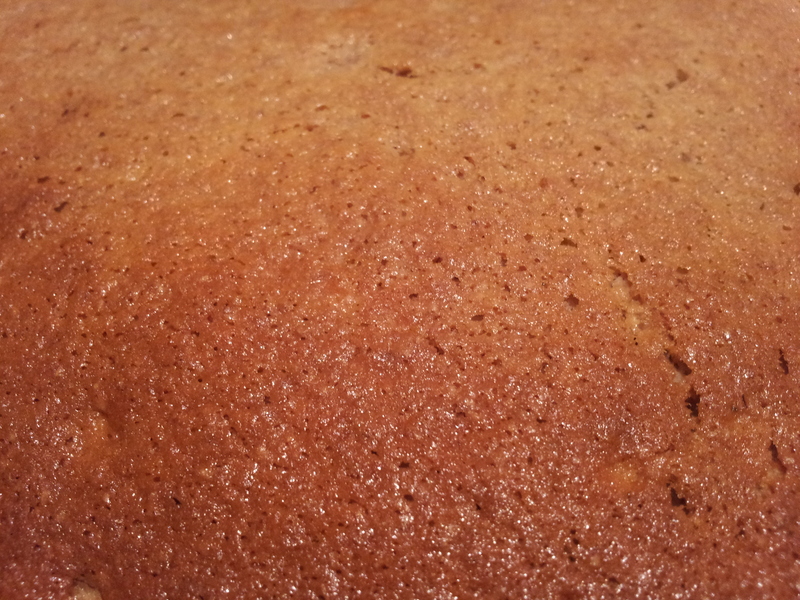 This cake is perfect if you have a few brown bananas that need to be used up. Mash up your tired bananas and add them to the mix. 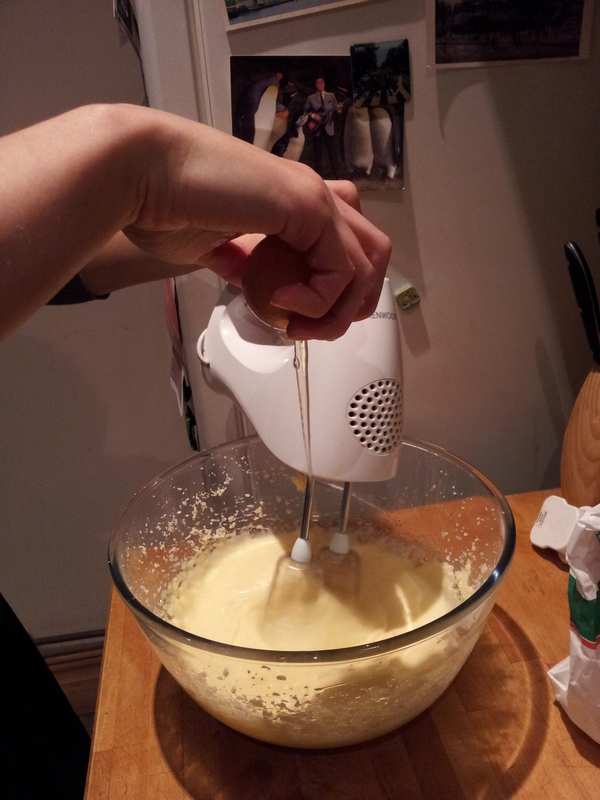 Again I was already using the whisk so I thought let’s carry on regardless. Let’s whisk these bananas up too! Coconut milk is a wonderful addition to this cake. Coconut and banana goes so well together! I added slightly more milk than the recipe asked for as I chose to use wholemeal flour, which is a bit drier than plain flour. It’s also more of a healthy option. I can’t pretend that I chose this purely for health benefits however, as I had a bag of self raising wholemeal flour that needed to be eaten. It worked beautifully! 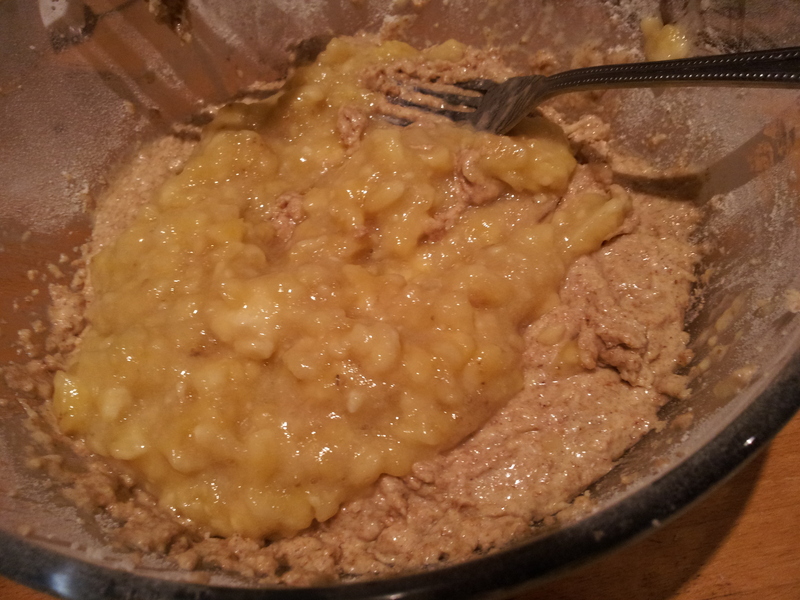 With the final whisk the liquid banana batter is ready for the oven. Don;t be alarmed by how runny it is! 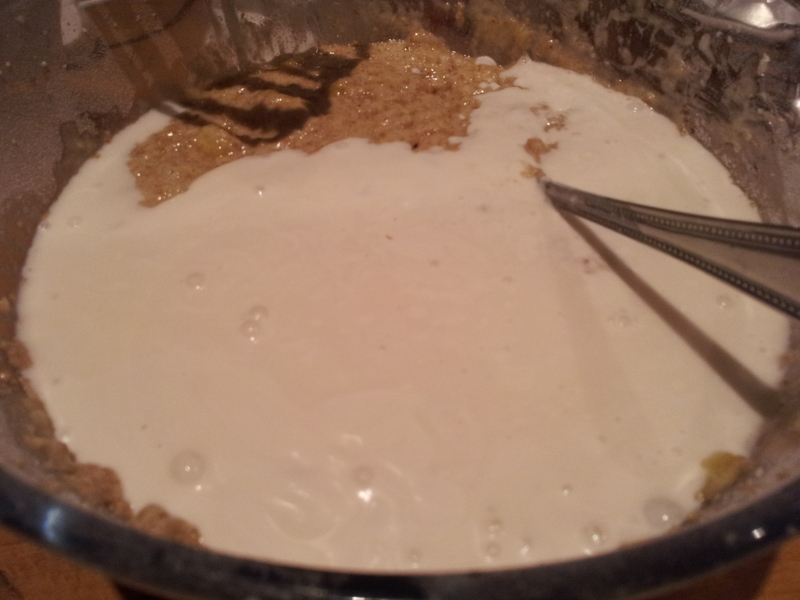 It means the mixture spreads out really well into all the corners of your tin. 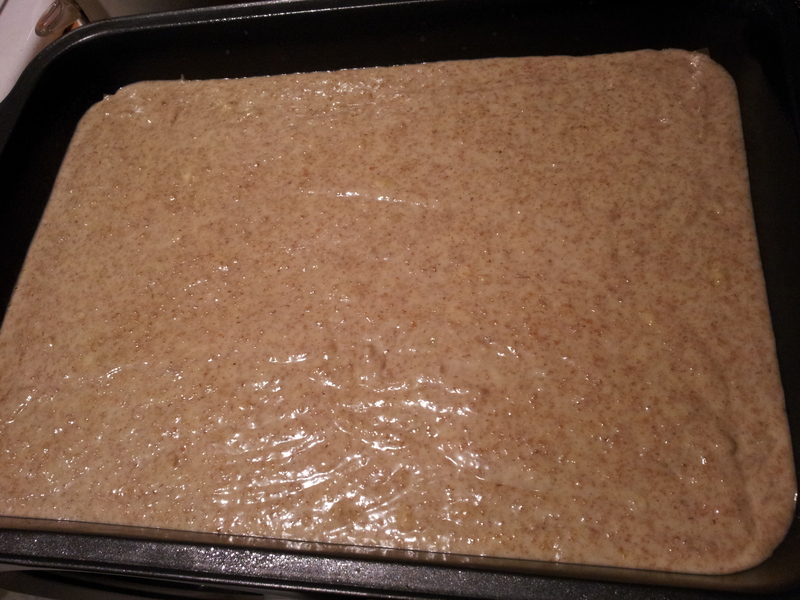 Producing a really smooth surface, which is pratically unheard of in my cakes. 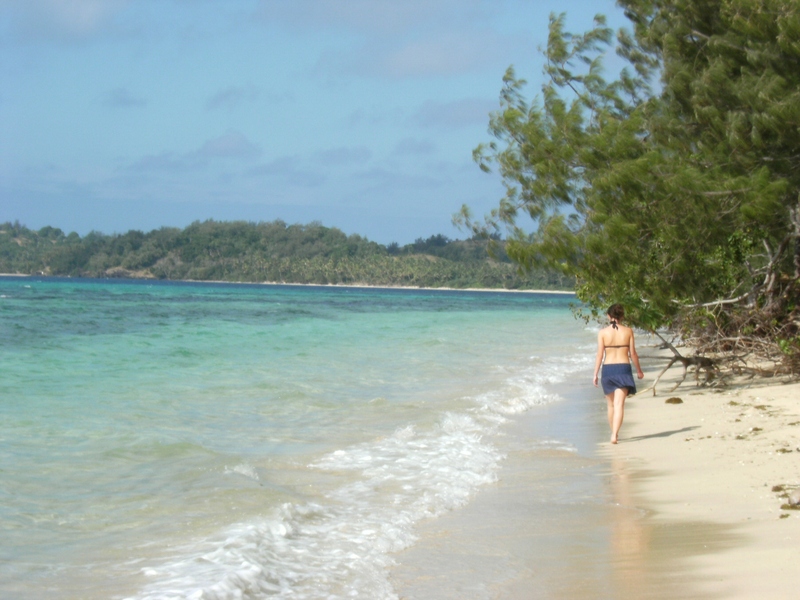 A mere 40 minutes in the oven and you have a perfect slice of Fiji on your plate. This cake is amazing. It was wonderful straight from the oven but even better the following day all by itself. It developed a sweet gloss on the top after a day of rest in my cake box. 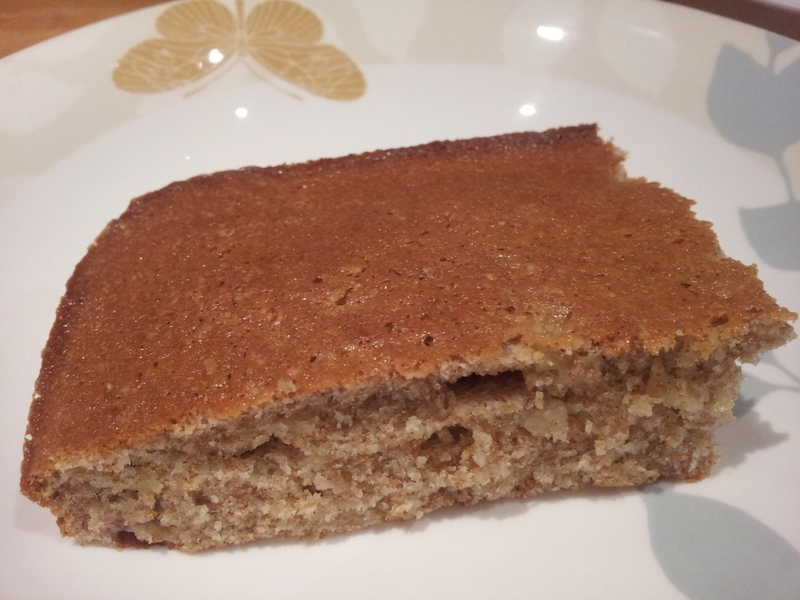 It’s a beautifully moist cake and the added texture from the wholemeal flour gave it an extra dimension. 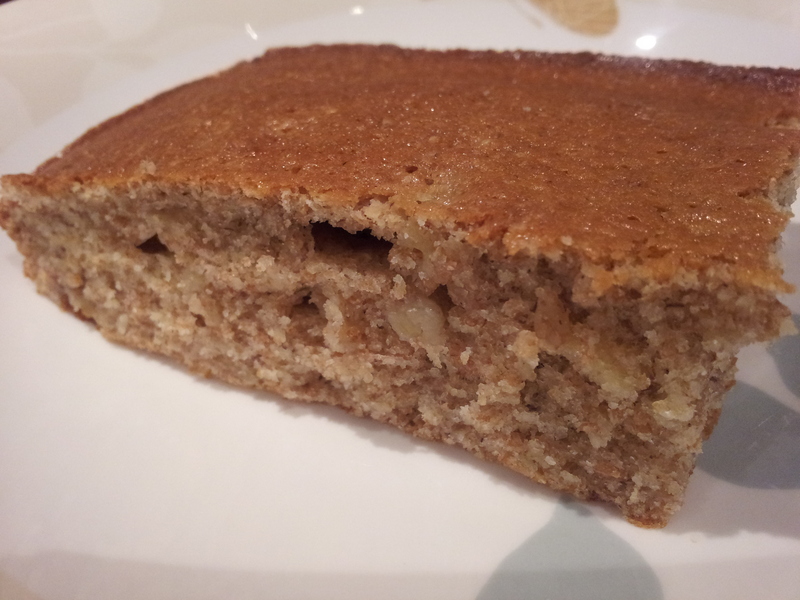 With slivers of banana making an appearance throughout the cake it makes a wonderful breakfast cake (but then again show me a cake not fit for breakfast! ), a mid afternoon pick me up or a full on pudding with custard/ice cream. Just take your biggest knife and chop it into rectangular slabs and devour. It just so happened that I was preparing for another race (post Great North Run!) The Edinburgh Great Run 10k and bananas a my favourite running fuel. This is now my favourite running cake. Delicious and nutritious. The cake sounds yum! 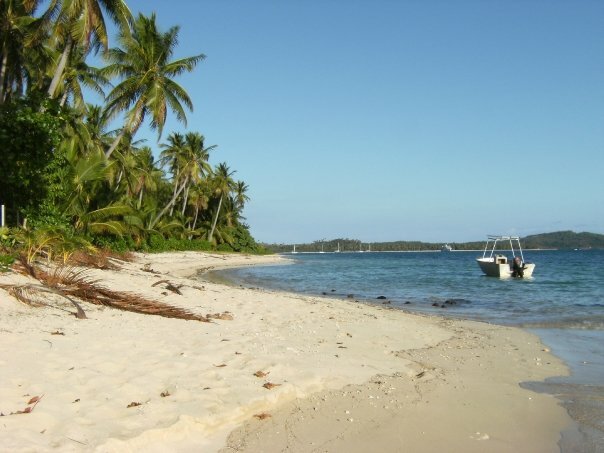 I’ve always wanted to go to Fiji, looks like I have another reason. OK! So after a super messy start – I have done it. Had to divide mixture into two round baking dishes and have just cooked the first batch. Smells super floury?! Looks ok…yet to taste. ← 40. Chinese Rice Cakes – Half way aroundtheworldin80bakes!